Thanks to the lackluster response to Justice League, Warner Bros. has had to rethink its plans for the DC Extended Universe films. The Flash‘s solo movie has been one of the projects that’s suffered through several delays. It’s also lost screenwriters and directors along the way. Now, Warner Bros. is closer than even to making The Flash happen, but it’s facing another setback. According to Variety, Warner Bros. has once again pushed back the release of The Flash in part because of scripting issues. It had been scheduled to begin filming in March 2019, but the new script isn’t finished and the studio wanted more time to get it right. Ezra Miller’s schedule is also a hurtle for this film. Miller played the Flash/Barry Allen in Justice League and briefly appeared in Batman v Superman: Dawn of Justice. However, Miller is also playing a key role in the Fantastic Beasts franchise. He is currently slated to film the third movie in that series next summer. Now, the earliest that The Flash movie could begin production is in late 2019, after Fantastic Beasts 3 wraps. 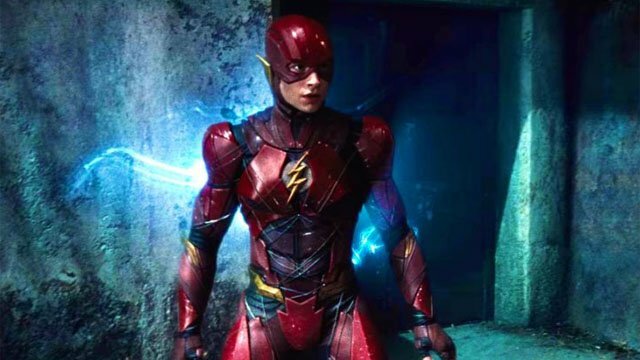 That would leave the currently untitled film potentially set to hit theaters in 2021, but a formal release date hasn’t been set for The Flash. Spider-Man: Homecoming screenwriters John Francis Daley and Jonathan Goldstein are directing The Flash. Kiersey Clemons was cast as Iris West in Justice League, although she was eventually cut from the film. It’s unknown if Clemons will return for The Flash, or if the character will be recast. How do you feel about The Flash‘s latest delay? Let us know in the comment section below!